(Note: this is the second of a four-part series reviewing the year in sports). All team sports were able to complete their 2017 season, with the exception of football. Unbeaten Cavaliers withstood their biggest test of the season to win their first BVI Cricket Association Twenty 20 League title in four years and fifth overall, by fending off Royal Knights’ charge for a thrilling seven run victory. 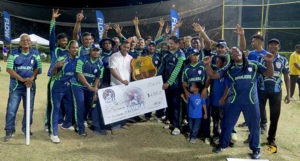 used Royston Duggin’s crucial five wickets haul to repel their opponent, after they posted a 209 target for 2014 champs Royal Knights to chase. Royal Knights stumbled out the gate as Jagnarine “Sugar” Persaud grabbed the first two wickets for 11 runs including Ryal Mangal for a duck. In Division I, Vikings beat Under The Tree by 11 runs, after posting 165 then restricting their opponent to 154. Vikings who were demoted from the Premier League, that year, will return to the league in 2017. The once dominant Legs who have won eight BVI Basketball Federation Sr. Division League Championships, the last in 2014, were toppled by the Virgin Gorda Mystics, 92-77, to claim their first title. 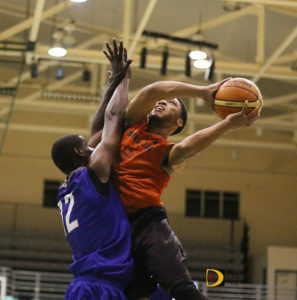 Jasin Rhymer Sr., led the Legs with 23 points. Dione Blyden chipped in 16 points, seven rebounds and four assists while Jomoiri Dagou finished with 15 points. Devorn Furlonge pulled 12 rebounds to go with his eight points and St. Thomas’ Kitwarner Rhymer grabbed 10 off the glass and contributed six points to the tally. 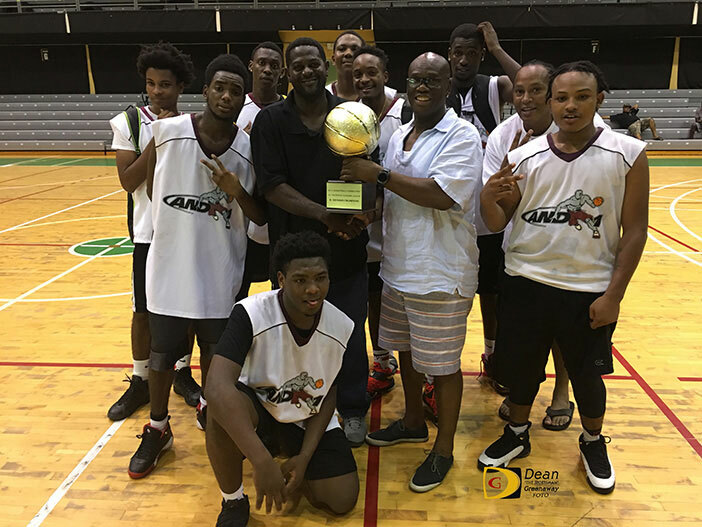 When the Jr. East Rockers players decided to follow coach Derwin Scatliffe’s advise to try and stop defending BVI Basketball Federation Jr. Division champions And One, it was too late. And One used 18 points from MVP Demoii Dagou, 12 from Ryan Richardson and 10 from Lestin Wiltshire to turn back Jr. East Rockers, 68-60, to repeat as BVI Basketball Federation Jr. Division champions. And One’s coach Brian Brewley said it was a wonderful game but hard from the beginning. Repeating Brewley said is a great deal because it means that the program works. He said he has three teams and an overflow of players. In the Women’s Division, Shauliqua Fahie had a game high 21 points and 12 rebounds in leading the Jr. National Team to a 54-47 win over defending champs Lady Bulldogs. Mahkyala Pickering poured in 17 points and Keithrece Smith 14. Daria Malone topped the Lady Bulldogs with 16 points, Tafara Phillips, finished with 11 points and eight rebounds. 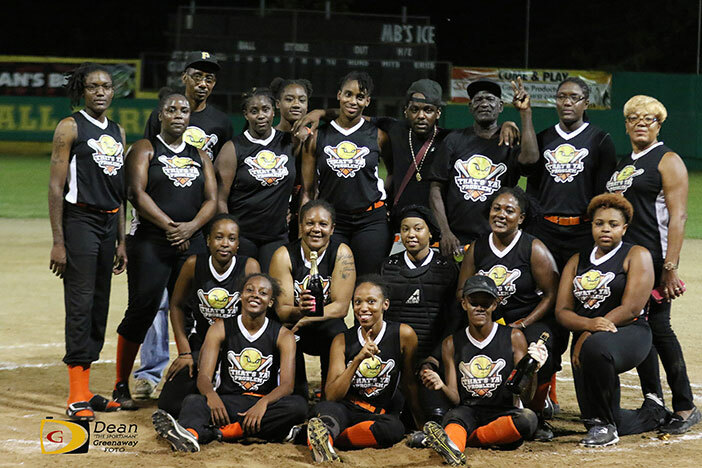 Aiming to force a fifth and deciding game in the series, defending Virgin Islands Baseball Softball Association Harriette Skelton Softball League champions Hawks’ rally fell short in the bottom of the seventh inning with runners in scoring. 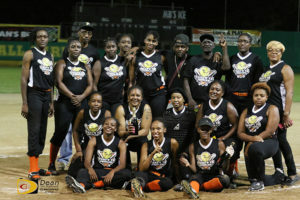 Sheniqua Fahie of That’s Your Problem, was the winning pitcher and homered for her only hit in four at bats and had 4 RBIs. Tafara Phillip finished 3 for 4 with 2 runs scored and a run batted in. Kimberly Johnson homered in three at bats scored a run and drove in two. Deja Adams of Hawks was 3 for 5. She scored three times, and had 4 runs batted in. Michelle Georges went 3 for 5 with 2 runs scored. In the men’s game, Sheldon John hit a solo homer in the first and Power Outage went on the sweep the A’s with a 10-6 victory. John finished 3 for 4. Jeremy Penn picked up the win and the loser was Neville Smith. Penn who opened at second base then relieved Dariel Robinson, helped his cause by going 2 for 3 with a double, 2 runs scored and 2 RIB’s. Khoy Frett was 2 for 4 scored once and drove in one. Rayandre Mercer and Michael Cline of A’s scored 2 runs each. In the Virgin Islands Volleyball Association Power League, the Gunz won the men’s division, Super Spikers the Women’s A Division and Crush Dem, secured the B Division crown. The BVI Football Association 2017 season was wiped out by Hurricane Irma. Irma came just after a new pitch had been put in place in Long Look, displacing part of the turf and destroying the goal posts.